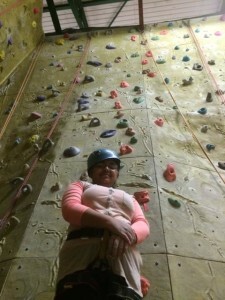 Nicole has been doing great things to achieve her personal goals towards her citizen step up. As the ‘service’ element, she has started helping at a mum and baby group once a week and is already a valued member of their team. 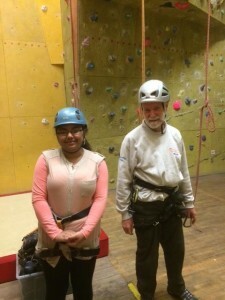 This week Nicole did rock climbing for her ‘new experience’. 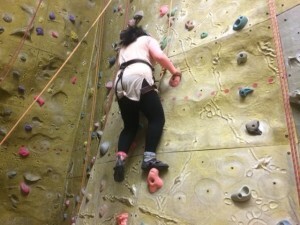 She didn’t let nerves get the better of her and climbed right to the top of the wall – a fantastic achievement!…….next week learning to swim! Well done Nicole some brilliant stuff going on!